Endless social media data is a superb benefit. But do VOXI have the 4G coverage, download speeds to be worth joining? SIM Sherpa is your trusty guide. Last updated: April 4th 2019. "Now they've got rid of their under 30s age limit, VOXI deserve a place on anyone's shortlist, who's after a no-frills way to get on the Vodafone network, on a SIM only plan or phone contract. Their Endless Social Media benefit puts them in front of other low-cost competition. And their focus on flexibility through 1-month plans gives them the edge on bigger players too." Unlike many lower-cost providers that use other company’s networks, VOXI is owned directly by Vodafone themselves. 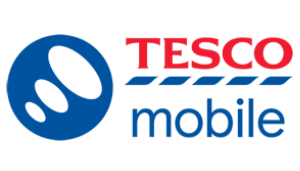 In fact, it’s more of a sub-brand of Vodafone than a distinct provider. 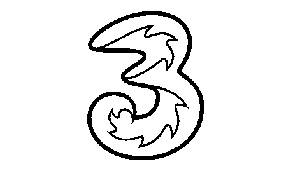 For VOXI customers that means they get access to Vodafone’s comprehensive UK network, which brings 4G to 99% of the population, 3G to 99% and 2G (used for calls) to 99% too. If you’ve been on Vodafone before, there’s no reason to expect differences in signal strength on VOXI. 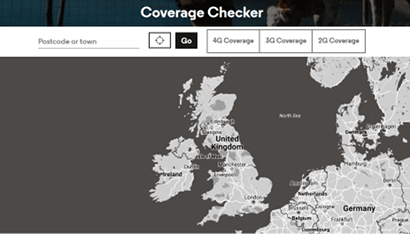 If you've not been on Vodafone, we'd recommend checking VOXI's coverage here everywhere you'll use your mobile. That's because those stats only mean signal in the places people live. Realistically, we take our phones everywhere around the country, so need reception away from residential areas too. 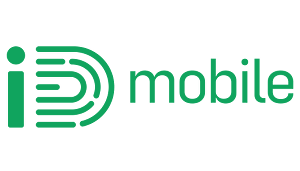 We've been really impressed with how VOXI's host, Vodafone, have charged on with improving their mobile network in the last year, especially as some people have given it a bad rap in the past. They've stepped up the deployment of faster 4G+ technology in some of the country's big cities and it's having a positive effect on the overall typical speeds we'd expect with them, which is now around the 21 Mbps mark. Of course, the actual speed you can expect on VOXI depends on your phone and the 4G masts' capacity in the places you'll use it. But those kind of speeds are totally fit for doing things like streaming HD videos. Combine high levels of network competence with VOXI’s benefits of free social media data and decent plan prices, and we really rate VOXI as an appealing choice. Provided you're under the dreaded age limit of course. 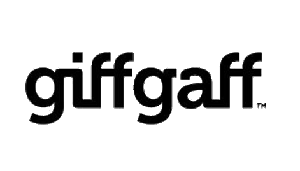 The next generation of mobile signal is called 5G (fifth generation) and it promises to be faster than 4G by a ridiculous margin, something like 1000x quicker downloads. 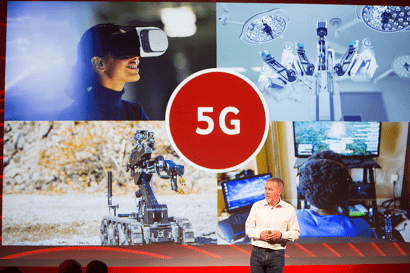 VOXI's parent Vodafone have already begun building their 5G network But realistically, we're a year or two off being able to get 5G in any more than a handful of locations. No mainstream phones support it either. If it's anything like when 4G launched, we'd expect Vodafone to keep 5G restricted to select ultra-premium plans. And wait before including it with lower-cost services like VOXI SIMs and phone contracts. In short, there's no need to make 5G a factor in your decision before joining VOXI or any other network for a long while yet. 5G is still definitely only one for the future. It's still important how a mobile network performs when you make a regular phone call on it. When it comes to how quickly calls connect and the audio quality of those calls, VOXI's parent network has good history, scoring well in tests that they've detailed in a PDF report on this page. There's no 4G calling enabled on VOXI. 4G calling offers much clearer audio quality on calls than old-school GSM and 2G phone signal. It also helps if you suffer from poor call quality indoors. 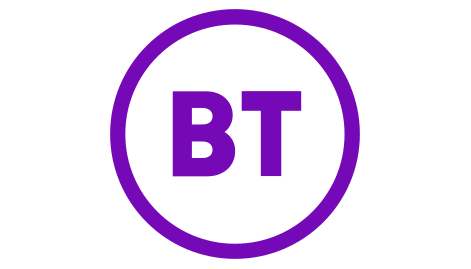 Not every network lets you use your mobile phone to create a mini hotspot around you, which you can connect other devices to, like laptops and tablets (doing this is known as tethering). VOXI do (read policy). And you can use anything up to the entire data allowance of your plan for it if you want. Some will use it, some won't. But it's good to know it's there when you need it. 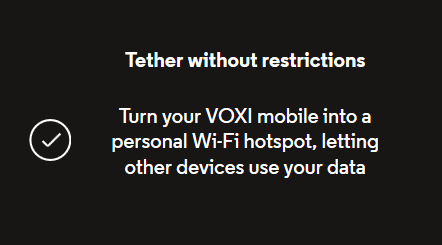 An even better touch is that VOXI’s Endless social data and video and music streaming passes apply to the data used for tethering too, as long as you use their apps (not just on your web browser). So if you connect a tablet or laptop to a personal hotspot on your phone that’s using the VOXI SIM, and you use one of the selected apps here on the tablet or laptop, VOXI won’t charge you for the data it uses. 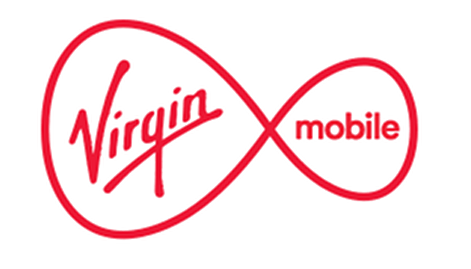 Even though Vodafone themselves have a WiFi Calling scheme that we rate as one of the best, it’s not a benefit you can look forward to on any of the VOXI SIM only plans. WiFi calling can be a useful benefit if you know you’re regularly with your phone somewhere that VOXI’s signal doesn’t reach indoors. 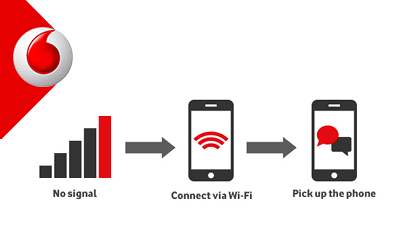 It lets your phone connect to WiFi instead to make/take calls in the normal way. 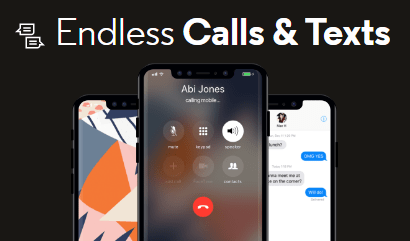 You’re not going to get that on VOXI but it’s worth saying that their Endless social data benefit stretches to a number of social media apps that include an audio calling function (but you'll need a mobile signal). Yes, you’re not going to be reachable via your normal phone number when there’s WiFi but no mobile signal. But those apps still give you a way to make/take calls, without using up any of your monthly data or calls allowances. 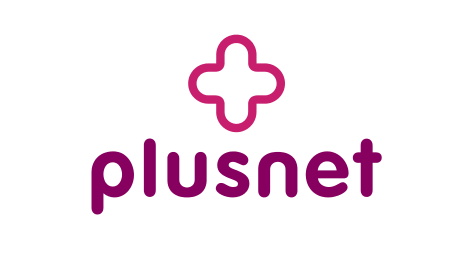 In each of our mobile network reviews we look at whether a provider gives you free access to a network of WiFi hotspots. This can be a handy benefit if you’re on a plan that doesn’t have much mobile data included. Even though Vodafone have free WiFi on the Underground, it’s not a perk that’s been extended to VOXI customers. 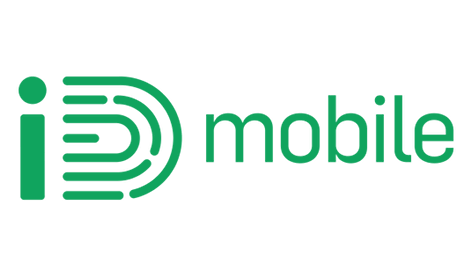 You do already get a lot of mobile data for a low price with VOXI so it might not be a huge concern. Another thing to consider is that there's loads of free WiFi hotspots around nowadays anyway, which are dead easy to connect to. So having them provided by your mobile network is becoming less and less important. 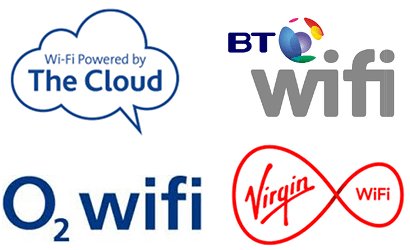 If you are interested in free WiFi with your deal, we’d say the best mobile networks for free WiFi are BT Mobile, Virgin Mobile, O2 and Sky Mobile. 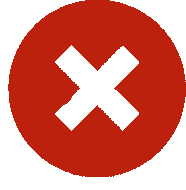 When you use Snapchat, Instagram, WhatsApp, Facebook, Twitter, Pinterest, Viber or Facebook Messenger apps on VOXI, it won't come out of your data allowance. You've essentially got unlimited data for them. We like that it even keeps working when you're roaming in the EU. 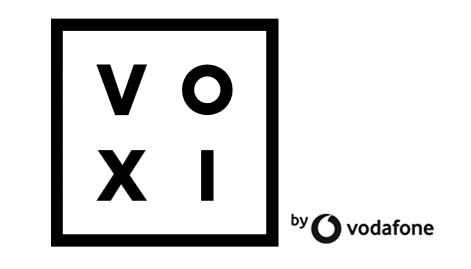 And VOXI have also launched a range of passes for an extra fee that do the same job for music and/or video streaming (see details and costs here). The only real condition is that you'll need to have some of your regular data left for Endless social data to work (there are long-winded net neutrality reasons for this). Getting free social media data on VOXI is good. But those types of apps are nowhere near the biggest consumers of data. For most people, it's video streaming that uses the most. VOXI don't give you this data for free (it comes out of your usual allowance). But you can pay extra each month for a video or music pass with unlimited streaming (see latest prices). Because you're paying extra, we'd advise thinking about how much you use those services to see whether it'd be worth the money. It may be cheaper just to buy a bigger plan and ignore the passes altogether. 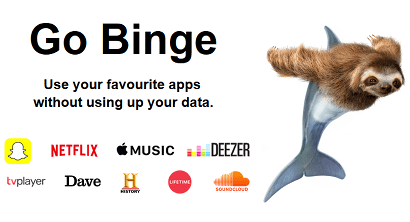 If you like the sound of free streaming data, have a look at Three's Go Binge scheme too, as it comes at no extra cost on plans above 12GB. 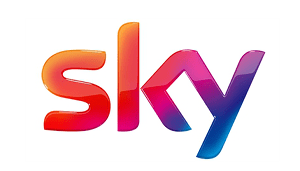 If you have Sky TV, their new Sky Mobile Watch benefit is worth a look too. 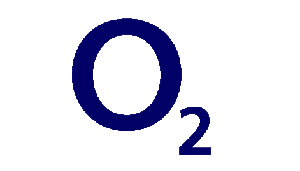 VOXI are one of these networks that are almost technically pay as you go (don’t worry, you’re not going to have to start going down the corner shop with your top-card though). It just means you pay up front each month for your plan, which gives you unlimited minutes and texts, and a set amount of data. You register a credit/debit card and it all happens automatically unless you say stop. The benefit of this is that you know exactly what you’re going to spending each month. You can’t rack up unexpected bills for going over data allowances or calling abroad for example. If you want to do anything that costs extra, you have to top up with credit yourself (and usage comes out of that at these rates). Or actively choose to buy an extras pass. We suspect paying up front also means there are lower/no credit check requirements to be accepted for a deal too than regular pay monthly. 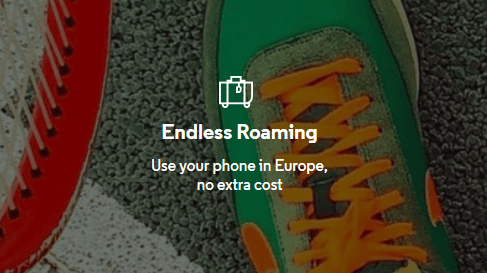 Every mobile network now has to let you roam in the EU at the same cost as using your phone in the UK (read our roaming guide here), so VOXI's claim of free 'Endless' EU roaming is nothing interesting. 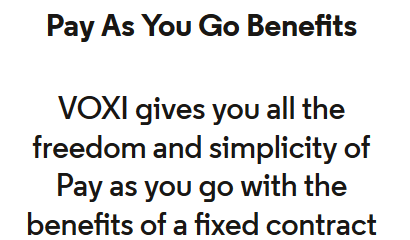 What is good is that VOXI extend their Endless social data benefit to when you’re roaming too, rather than leaving it restricted as a UK-only perk. That means unlimited social media when you’re on holiday (as long as you have regular data left). If you’re going somewhere outside the EU countries listed here, VOXI operate quite an old-fashioned pay as you go system. You’ll need to top up with credit and your usage will be taken out of that at these rates. 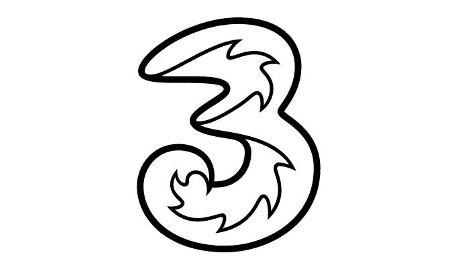 There’s no extra inclusive roaming in non-EU countries like you get with Three’s Go Roam scheme. But overall we like that you can use anything up to your full data allowance whilst in Europe. One potentially very lucrative part of joining VOXI is that you can earn rewards for getting your friends or family to join the provider too. At the moment, the reward comes in the form of a £10 voucher each to spend at Amazon.co.uk for every new customer you get to join VOXI. 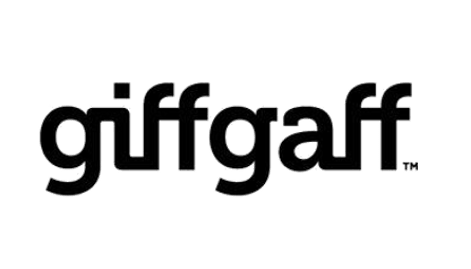 This is remarkably similar to giffgaff's payback scheme. The scheme works by sending your friend a special tracked link via email or messaging service. When your friend orders via the link (and you both pay bills for two months), each of you will receive a £10 Amazon voucher as a reward. This offer has been running since VOXI launched in autumn 2017, so should remain available to you if you do decide to join VOXI. If you’ve not heard of it before, data rollover is when a network lets you keep mobile data that you’ve not used by the end of the month, to use in future months. Or even better, SMARTY give a cash discount off next month. VOXI don’t offer it, which puts them behind their low-cost rivals iD Mobile (keep data for a month) and SMARTY. 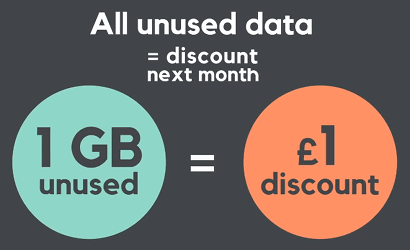 Read our full guide to data rollover schemes here for more information. Data rollover is a decent benefit if you’re the type of person whose data usage changes month-to-month. It means you’re less likely to waste money if you’ve chosen a plan with a bit too much data (you have a second chance to use it). But if you’re more confident about your usage, it’s unlikely to be a benefit you’ll miss. All VOXI’s SIM only plans are on short 30-day deals, so you’re free to move up and down to get the right deal anyway. VOXI offer up two sets of passes that give you unlimited streaming on either video or music, when you're using any of the apps in their latest list here. 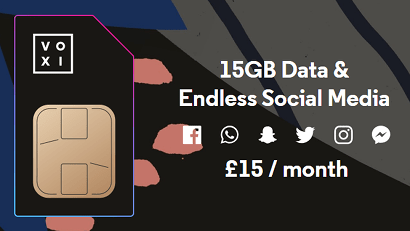 Any data you use for those won't be taken out of your ordinary data allowance (exactly like it works with social media), except you normally have to pay a monthly charge for the passes. 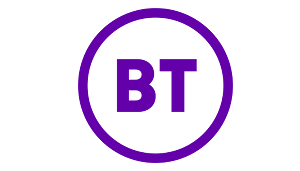 In each of our reviews, we look for networks that include the actual subscription to the entertainment service too (i.e. they pay the monthly cost of the app too, not just the data). VOXI aren't one of these. 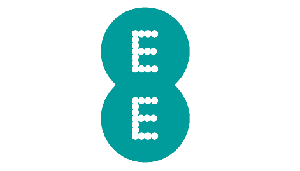 The best examples are Vodafone's Red Entertainment bundles with a Spotify Premium, NOW TV Pass or Sky Sports Mobile TV subscription. 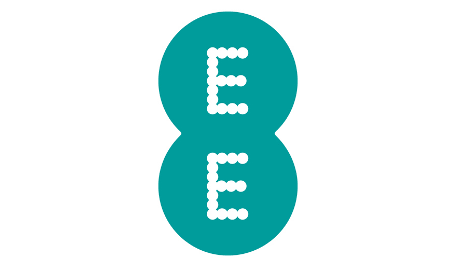 EE also have a 6 months free Apple Music offer too. If you're a parent getting a mobile deal for one of your kids, VOXI could actually make a good choice, because their plans stop them overspending, and come with free data for social media. 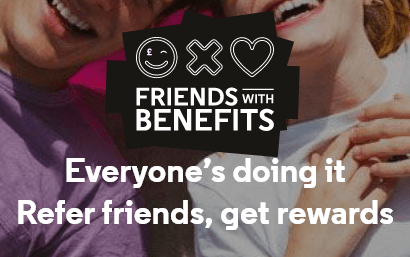 But unlike some other networks, you're not going to get a discount for taking out multiple deals (although you could benefit from VOXI's £10 Amazon voucher refer-a-friend scheme). We've put together a whole guide about shared mobile plans for families. 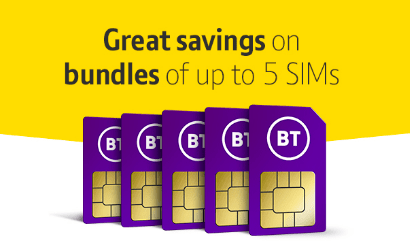 The best deals we found are BT Mobile’s Family SIMs which give you a larger discount for every SIM you add to a main deal. 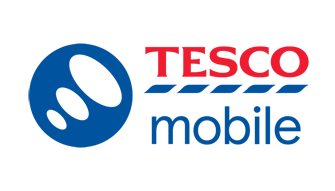 We also like Tesco’s Family Perks, which give you rewards or money off for additional plans you add to your main account. What type of deal are you interested in? Here are the latest promotions on SIM only plans. VOXI aren't ones for constantly chopping and changing their prices, so there aren't any huge headline offers to talk about this month. Generally though, we'd say the bigger the data allowance on your SIM only plan with VOXI, the more competitive it is against other 1-month deals with the same amounts of data. If you're after a phone, have a look at VOXI's range here for gift with purchase offers. If you've previously read that VOXI only accepted customers under 30 years old, we're happy to say that this restriction has now been lifted. Anyone 16 or up can now join them on SIM only. You'll need to be at least 18 if you're joining on a phone contract, because you're signing up to a credit agreement with PayPal Credit but there's no upper age on these either. 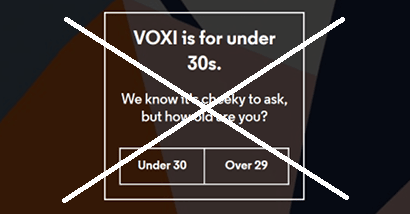 We can't help wonder whether VOXI were accused of discrimination with their former age policy, or whether they just decided they should start selling to more of the population. Either way, it's good for UK consumers, because we've now got a new provider that anyone can join. And competition means better prices and better benefits for everyone. VOXI have just started doing pay monthly smartphone contracts, which work by taking out a finance agreement for your phone (basically a loan for the cost of the device) and one of their regular SIM only plans. Because the phone plan and SIM plan are separate, you can leave VOXI by cancelling the SIM (you still have to pay the phone off each month). 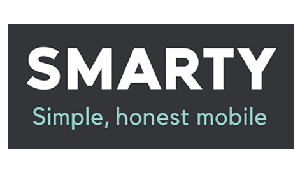 You can also make lump payments at any time to bring down the monthly cost of the phone too. The disadvantage is that you're dealing with a financial product, essentially a loan. It could be harder to get accepted if you have any bad credit history. The consequences for missing payments could be worse too. Their range features the most popular makes and models we'd expect every network to have like Apple, Samsung, Sony and Huawei. Price-wise, VOXI are cheaper than average, and certainly cheaper than their parent Vodafone. 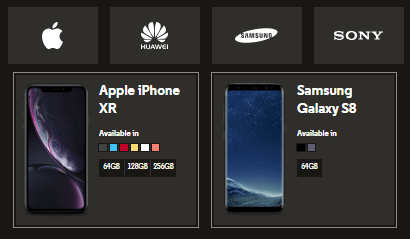 Which make of phone do you want? Really and truly, VOXI's SIM cards are meant for you to join on a monthly plan that gives you a block of mins, texts and data for a set price. 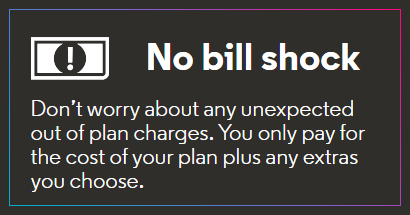 But you do still pay for your plan up front like Pay As You Go. If you really want, you can use your VOXI SIM card like a more-traditional PAYG deal where you top up with credit, and then the cost of any calls or texts are taken out of that. To use data, you still have to buy a pass. But if you look at their per-minute and text charges here, you'll see VOXI are actually pretty expensive to use in this way. So probably aren't the best choice for this type of PAYG. 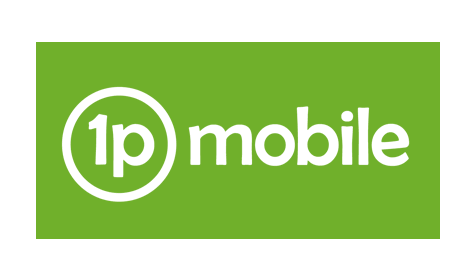 If you're after that sort of deal, it's worth looking at 1pMobile's 1p per minute, text or MB data plan, or O2's Classic Pay As You Go SIM and Three's 321 plan, both with rates of 3p per min, 2p per text and 1p per MB data. It's fair to say that VOXI has been set up to be mainly be used on phones: each plan contains unlimited calls and texts as standard. So we can't recommend them as a best choice for a data-only tablet SIM. 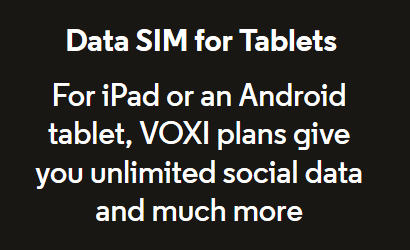 But if you really wanted to, VOXI do let you use their SIM card in a tablet or iPad (you'll need a 3G/4G enabled device though). Even if data-only SIM deals would almost always work out better value. 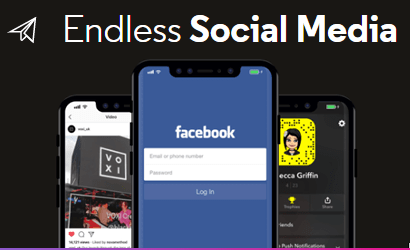 Even though you'd be paying for calls and texts you can't use on your device, you would still benefit from the unlimited social data on VOXI, and also their Endless video and music streaming passes on a tablet or iPad. But even if you'll mostly use your SIM card in a phone, it's good to know you can pop it in your tablet too every now and then, with no restrictions. 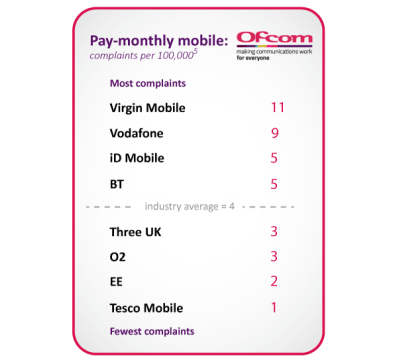 For our customer service reviews, we look at how many complaints the government telecoms regulator Ofcom receives about each mobile provider. 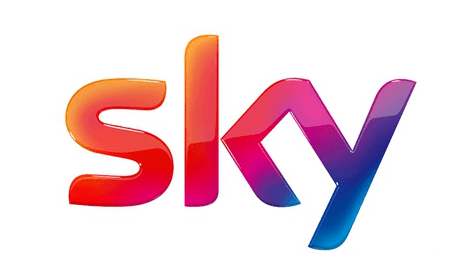 The more complaints Ofcom receive, it shows a company is worse at dealing with inevitable problems customers with any provider will come across. Unfortunately VOXI are still too small to appear in this data. As a guide though, Ofcom receive an above-average number of complaints about VOXI's parent Vodafone. It's hard to say if this would translate to VOXI too, as they sell a much simpler product (just SIM cards), which could have fewer problems. One thing we'd definitely point out though is VOXI don't have any call centres. If you want a problem sorting, you have to go through their online channels (see link below). This could put some people off VOXI. Do you have to be 29 or under to join VOXI? No. VOXI used to have an age restriction that meant only people age between 16 and 29 can join them. This has now been removed. Anyone over the age of 16 with a bank account can join them on SIM only. Anyone over the age of 18 can join them on a phone contract, subject to a credit check. Why was VOXI not open to people over 29? Get ready for a boring mobile industry insider explanation. 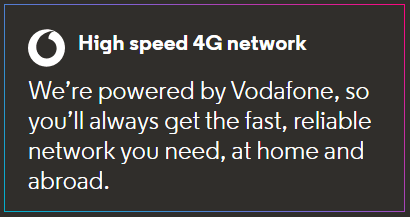 So by launching VOXI, Vodafone got a clean break they could use to appeal to younger people with things like unlimited social media data and lower prices than the main Vodafone network. As well as accepting more people by not having such stringent credit checking requirements. We suspect they limited to this to young people to avoid older customers who are already on Vodafone moving to VOXI to get the cheap prices and extra benefits, which would reduce their overall profits. Now, they've either been pressurised to remove the restriction to avoid age discrimination. Or realised that offering no-frills, low-cost deals to a bigger chunk of the population will help be popular and will grow their sales faster. There, we said it was boring. It'll be interesting to see how long the age restriction lasts though if VOXI meet Vodafone's sales expectations! What happens once you turn 30? Nothing, you have always been allowed to continue on VOXI once you're on it. Now the age restriction has been lifted, this is even more true. Is endless social media data actually unlimited or are there any restrictions? "Excessive usage for unlimited data or calls. 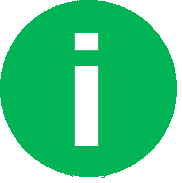 We reserve the right to suspend or throttle the service if we have reason to believe that the SIM card is being used for commercial purposes, fraudulently or is having an adverse impact / damaging our network in any way. The longest single call you can make is 23 hours and 59 minutes.". So basically, even if you're using social media on their network extremely heavily for personal use, you're never likely to fall foul of this fair usage policy. The only other restriction is you need to have at least some of your regular data allowance left for social media to be unlimited. This is to keep VOXI on the right side of net neutrality rules that say you can't make your internet service free of charge to access particular services only. 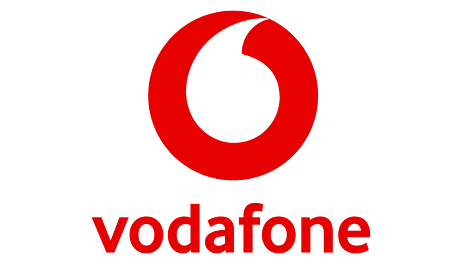 Can you join VOXI if you're already on Vodafone? Yes you can. As long as your current deal is set to expire or you're on a pay as you go, you can join VOXI without even have to order a new SIM. Follow this link for instructions of what to do. Can you keep your number when you move to VOXI? Yes you can. You will need to follow the usual process of ordering your VOXI SIM with a new number, then calling your old provider to get a PAC code and then giving this to VOXI to arrange the transfer. Can you get a contract phone on VOXI? Yes you can. But you'll need to be over 18 and pass a credit check to enter a credit agreement with PayPal Credit to cover the cost of your phone. Have a look at their range here. Which network does VOXI use? 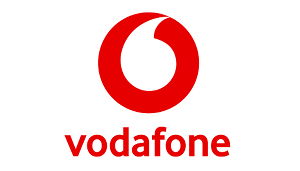 VOXI uses the Vodafone network.